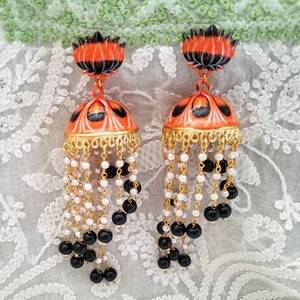 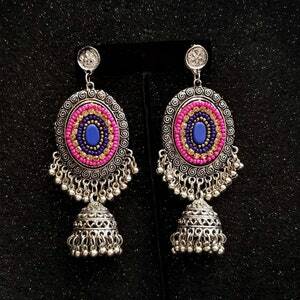 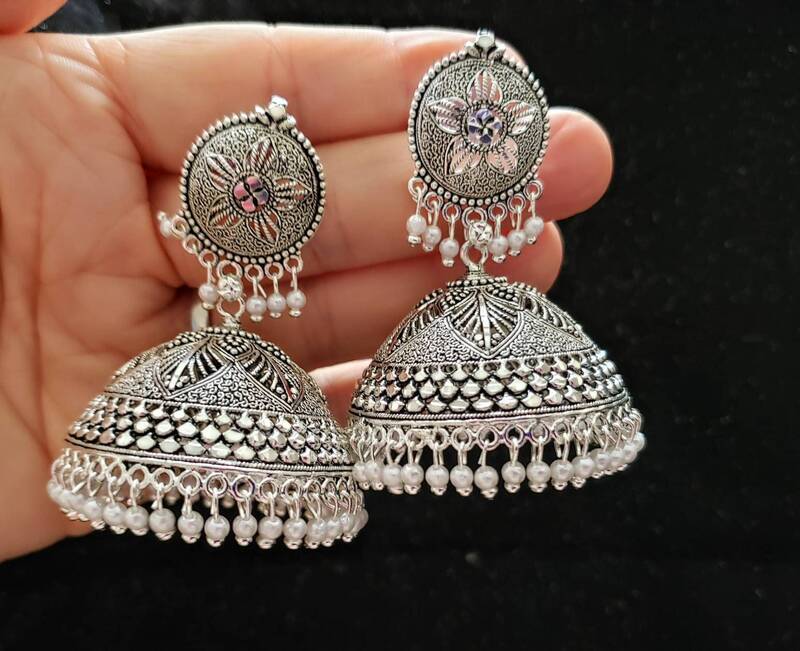 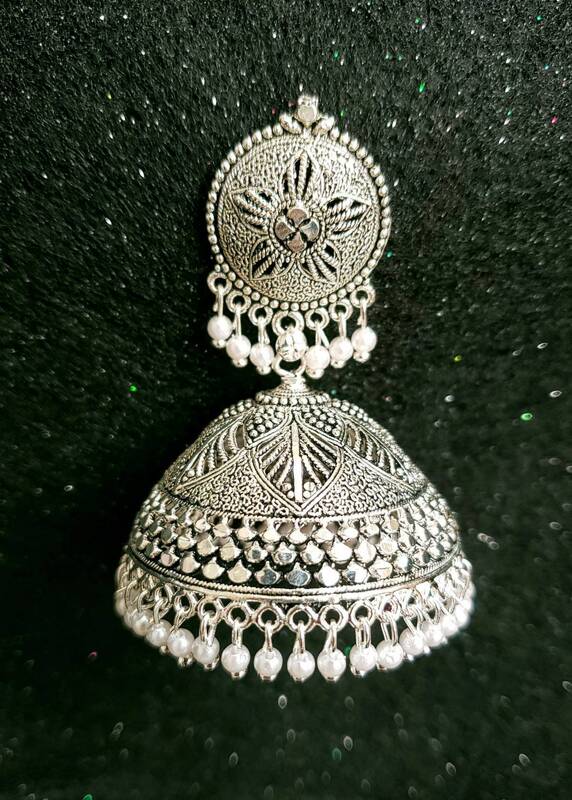 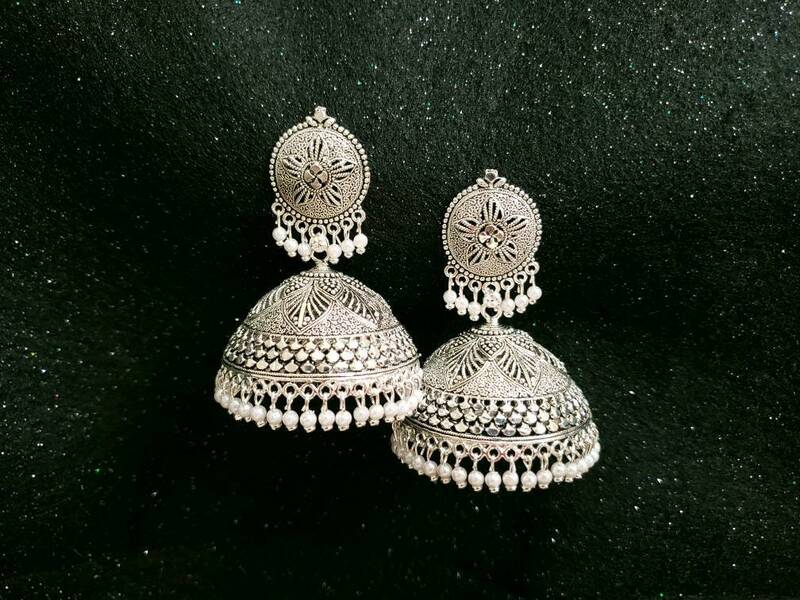 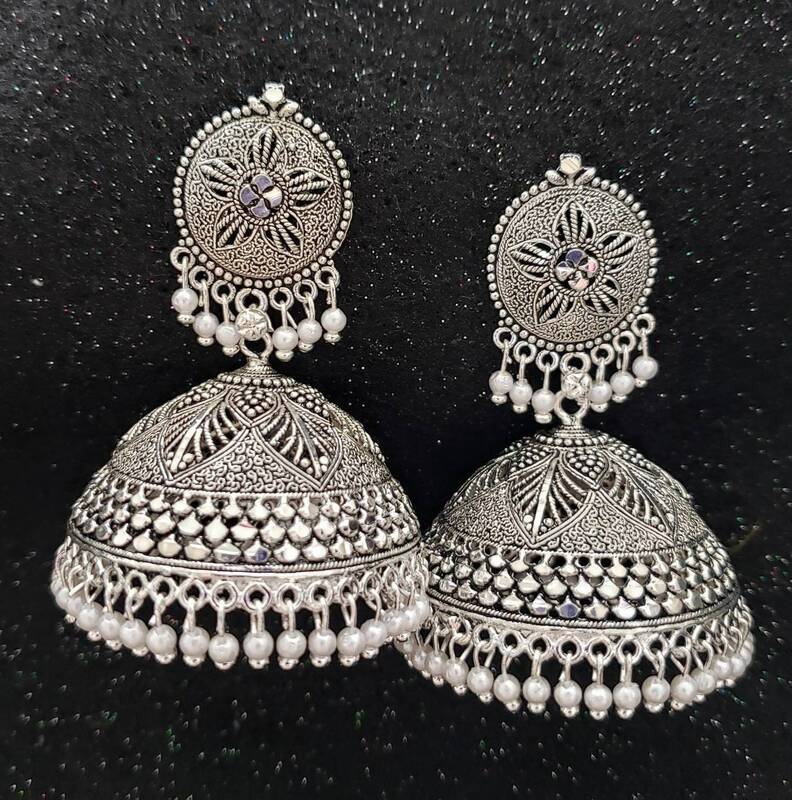 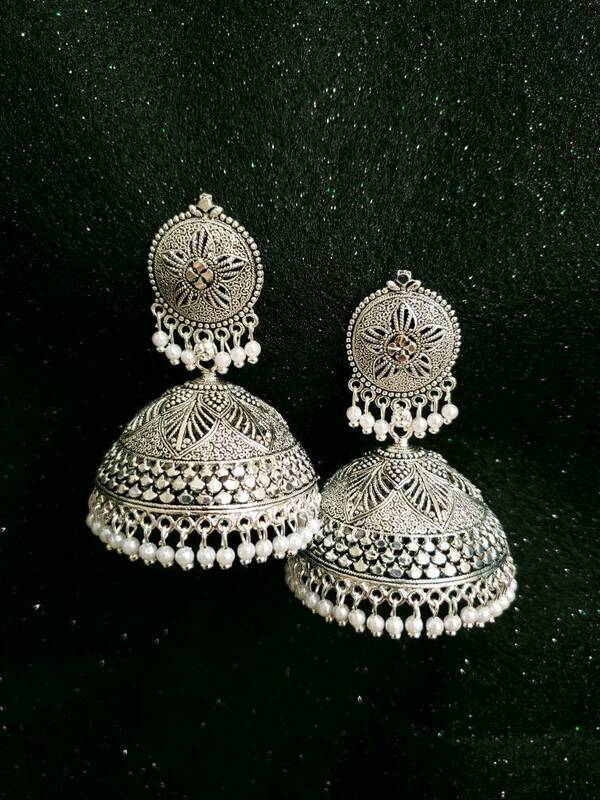 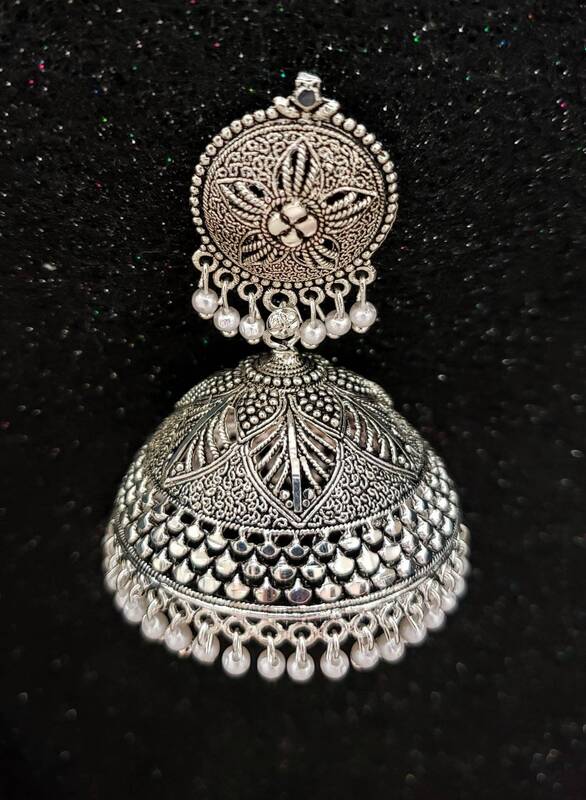 Look amazing in these large white silver colored handcrafted filigree jhumka earrings with pearl bead dangles. 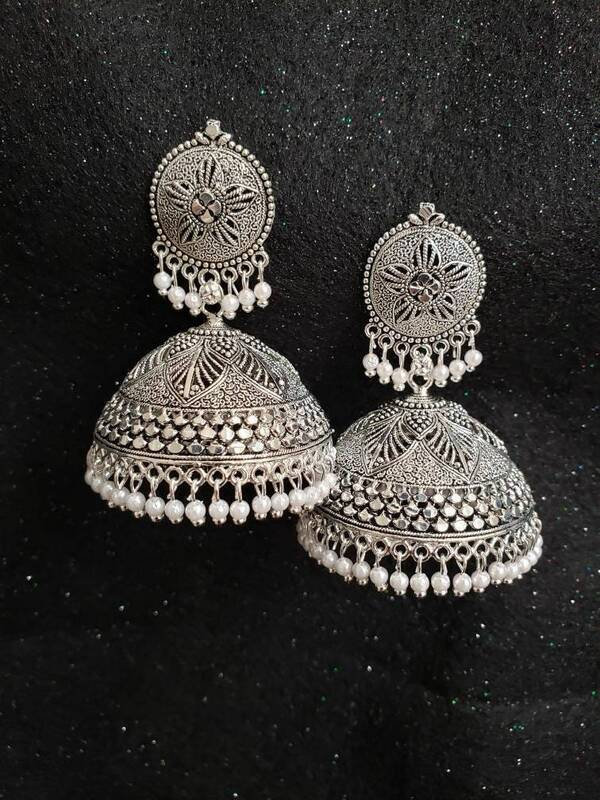 Large, but feminine and dainty! 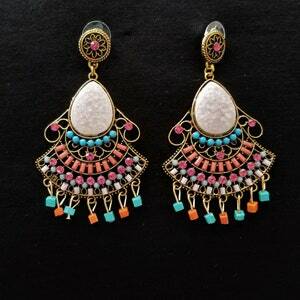 Feel like a princess in a fairy tale. 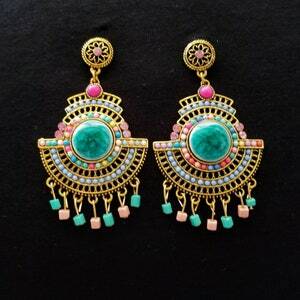 They brighten your face and reflect the light beautifully. 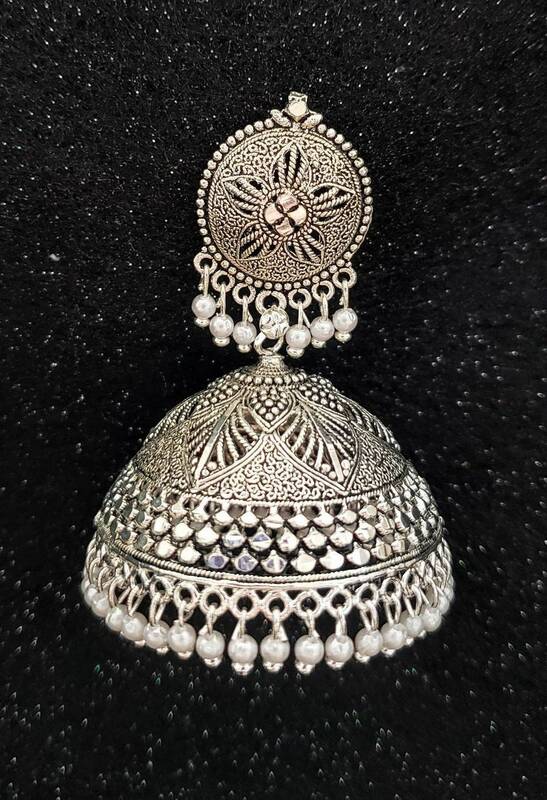 Intricate detail, from the star on the stud to the leaf pattern and fine filigree work. 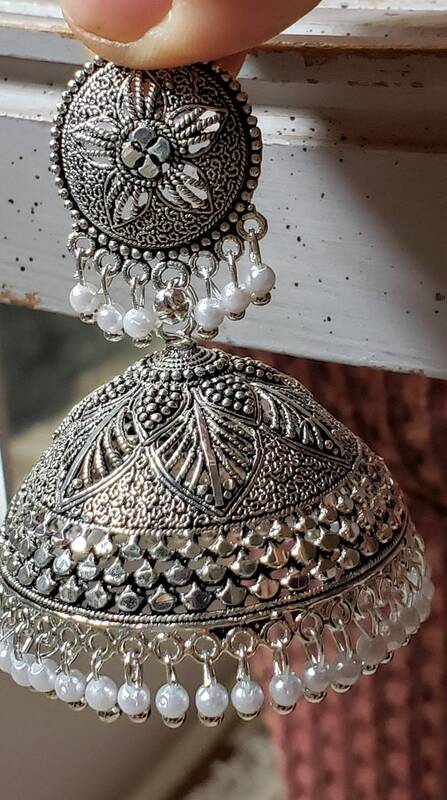 The pearls make a lovely swooshing sound when you walk.